Let us help you put together your dream wedding! No Cost: there is no cost to use our Travel Agency, in fact, we can match or beat 99.9% of the rates you find on the internet. 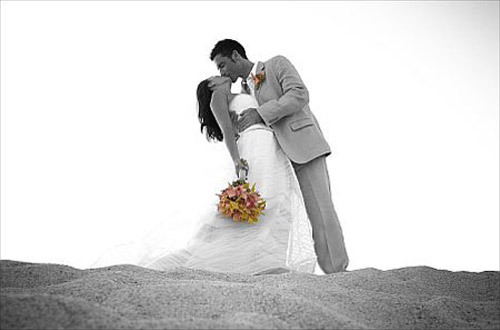 Experience: We have deep personal knowledge of the destinations and resorts and we can help you find the perfect location for your dream wedding. Convenience: Your time is valuable. We will work with each and every one of your guests to ensure your entire party is booked correctly, and we will be here if something goes wrong. Amenities: We are an award winning agency and because of our high sales volume, we have special relationships with resorts and travel suppliers. This means that we can pass along special amenities to our clients that other agencies can't offer.